Joey and Terence is such a cute couple. I actually laughed out during the makeup session when Terence was teasing Joey about something funny that happened in the past (which I shall not elaborate). Sometimes the chemistry between a couple can be so strong that the people around them, strangers like me could feel it. 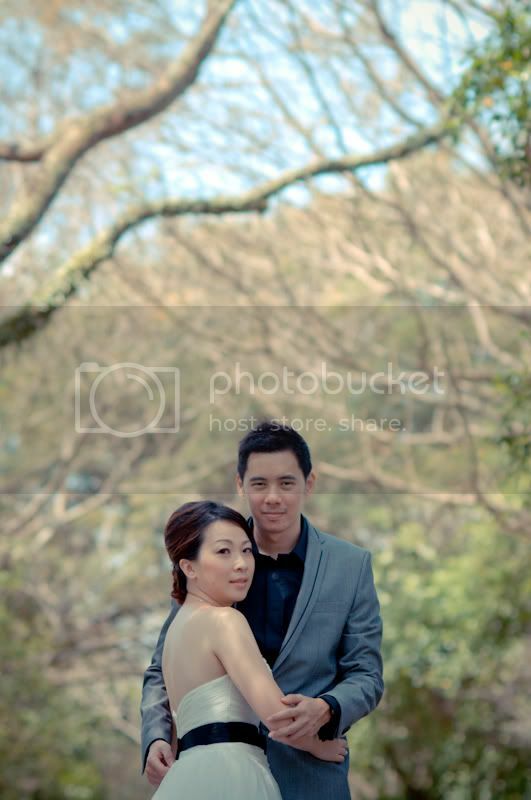 I was Joey’s makeup artist for her pre-wedding shoot and actual day wedding. On the actual day morning, we had a clean makeup look for her. 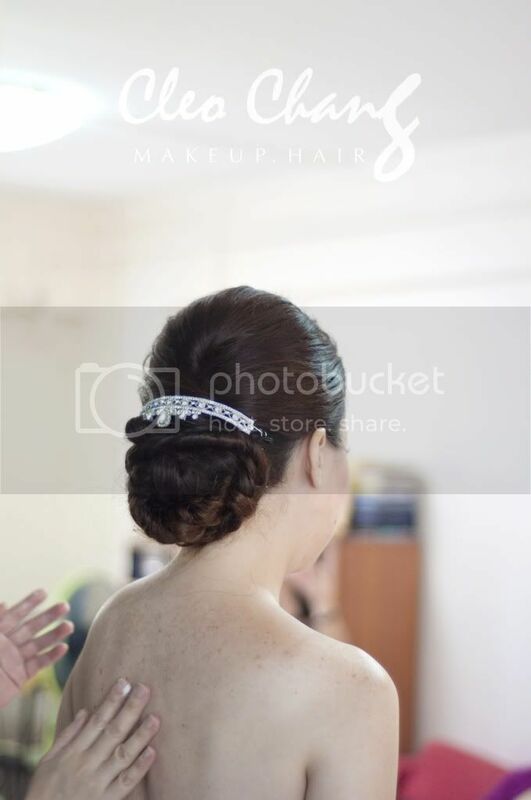 Her long hair (should be around waist area) was rounded up into a low bun completed with a tiara at the back for a glamorous look. 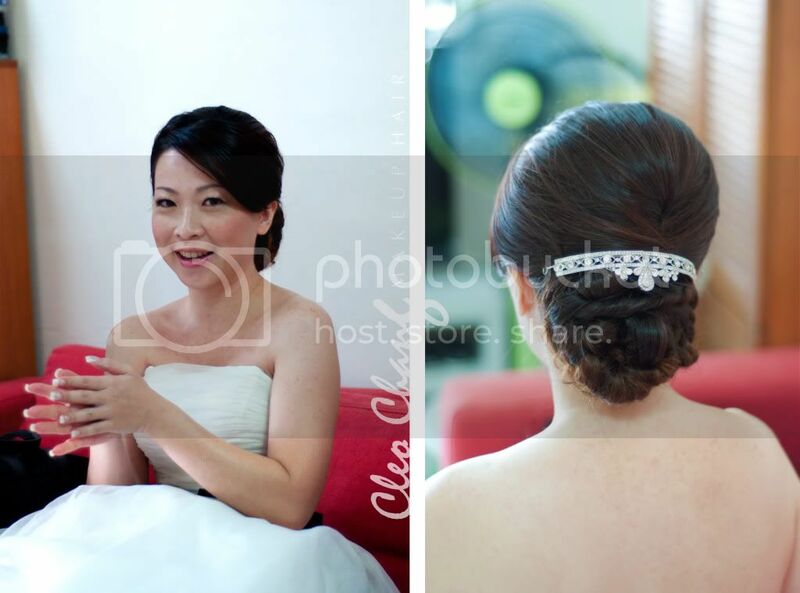 I have always like tiaras to be placed at the back coz for brides who doesn’t like flashy tiaras that make them look too princess-y, tiaras could be placed at the back of the hair to up the glam factor. It was a pleasant experience having you as my Hair and make up artist :) As for our actual day pix.. my dear hubby is still not done with his photoshop.. :p Take great care!